The Constitution is the system of basic principles telling how our nation is supposed to be governed. The preamble acts like the introduction to the Constitution. It gives the reasons WHY the founders created this document. So what does it say? Read the whole Preamble. 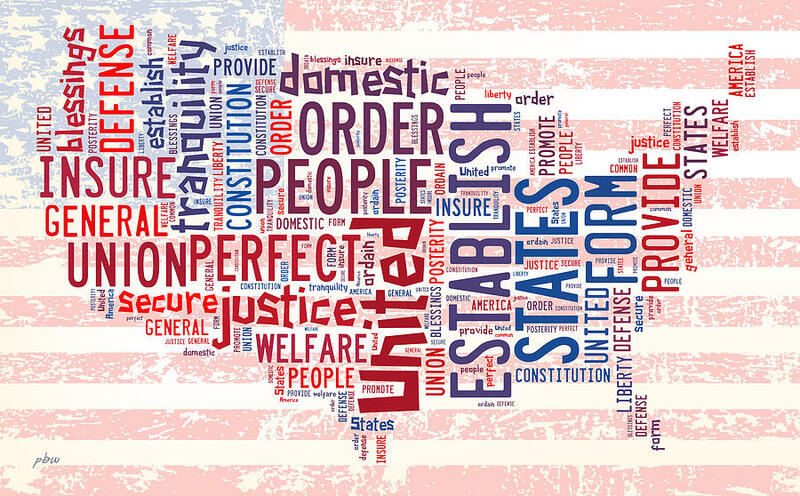 The Preamble starts with three famous words -- "We the people." What kind of government did the founders create for the United States? The colonies had been ruled by England. What kind of government did England have at that time? Then comes the first goal -- "In order to form a more perfect union." That brings up an important question. What was wrong with the union they already had? The first constitution of the United States was actually the Articles of Confederation. The Constitution we have now was written to replace the Articles. Come up with TWO reasons why the Articles of Confederation failed. Explain in your own words what each of those five goals means. What do you think is the most important goal listed in the Preamble? Tell me why.